Designed by Rene Paul Chambellan (1893 – 1955) and fashioned from wrought iron and bronze, these gates from the entrance to the Chanin Building’s executive suite, are excellent examples of the important role that metalwork played in defining the art deco style of New York skyscrapers from about 1925 to 1940. 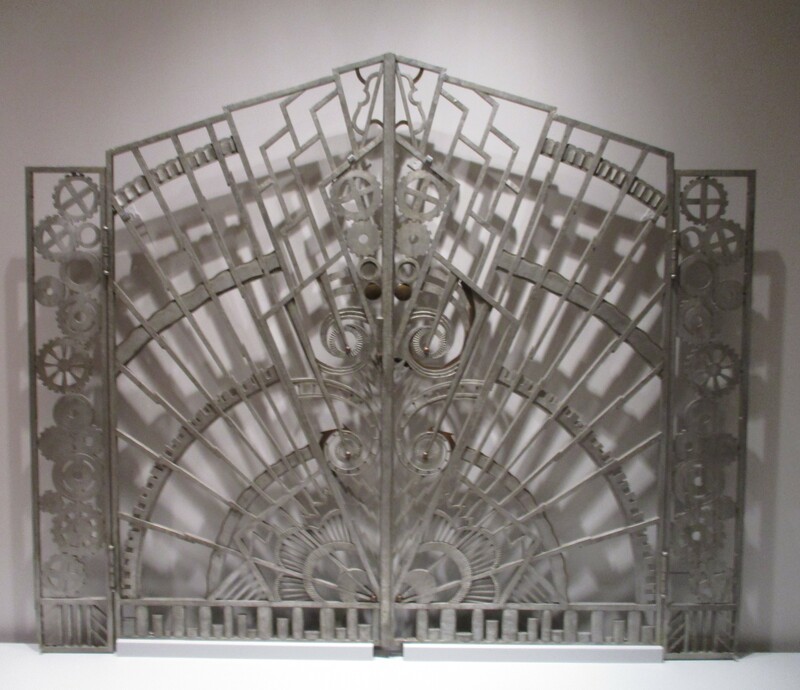 The gates’ largely linear, radiating design created an industrially informed aesthetic that was part of the machine-age era. Photographed in the Cooper Hewitt Design Museum in New York City.